Time tracking systems have long been seen as not being so advantageous to employees apart from the fact that they track attendance and their working hours. These systems have, however, perfected themselves with the advent of technology. These systems now offer sophisticated features that offer new possibilities to employees. From an investment point of view, these systems do not require expensive installations and hardware. Time clocks have extensively evolved and are now increasingly smaller in size. The cost of these devices has also considerably declined, making them more affordable to be placed in several locations in the workplace. This makes it convenient for employees to clock in from different locations instead of having to reach one single point. Some of these systems also offer the possibility for employees to clock in from different locations, even remote ones. This is particularly advantageous for field employees or people who have to travel often. From the employer’s side, biometric time clocks prevent the occurrence of buddy clocking. These systems use facial recognition to identify individuals. Some systems also have additional features that help in compiling attendance data that can be used for reward systems and calculation of bonuses. As for the employees, these systems allow them to become accountable as they are be able to monitor their own performance and attendance data. Accountability in the workplace helps to trigger proactive measures to improve performance and attendance. This also ensure transparency in the company. Allied Time has operated in the business machines and employee time clocks since 1967. The company’s product proposes some online features. If you’re like many companies, you probably don’t think you need any more software. After all, most modern companies already leverage countless programs as it is to achieve their business goals. The thought of adding yet another may seem like it couldn’t possibly be worth the trouble. But EDI software isn’t just one more version to add to the pile—far from it, in fact. 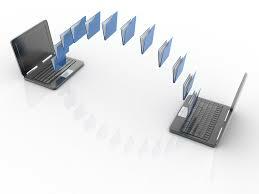 EDI stands for Electronic Data Interchange. It’s used, essentially, to help the software you do use talk to one another. As it stands, you’re probably using people for this important area, which means you’re spending unnecessary money and opening yourself up to the possibilities of human error. Instead, you should be using these people for something that demands their specialties. Internet EDI software can ensure a streamlined interface between the software you depend on. Companies like Wal-Mart have long understood how important this is, not just for saving on employees, but for getting better results from the software they use on a daily basis. Don’t let your technology become a handicap for your company. Instead, think about how Electronic Data Interchange solutions could usher your business into the 21st century. Just about every large, modern company can benefit from electronic data interchange technology, especially if they’re already leveraging lots of software to get the results their business needs. If that sounds like your company, you should consider what EDI service provided by ACT Data Services can do. If you want better results from your company’s output, you probably already know that software will play an integral role in hitting that goal. You probably also know that software has to be an ongoing investment, something you spend time and money on every year to keep your business competitive. Unfortunately, in the race to secure the best possible software for their needs, too many companies miss obvious assets they should be investing in. The best example of this is definitely the software used to monitor your employees’ time. Think about it. Are your employees a central part of your business plan? Of course they are. So why wouldn’t you invest in time and attendance software that helps ensure you get the best possible return on the investment you make in them. Without proper time-tracking software, you really can’t be too sure about how they’re spending their 40 hours with you every week. Nowadays, this type of software—like so many other examples—couldn’t make it much easier either. It does a great job of ensuring that just about everything is as automated as possible. So when you need results about how your employees are working for you, those answers are a click of a button away. When your business could use better resources for monitoring their employees’ time, the only store you need to remember is Allied Time. The company has every product you need from physical time clocks to automated software and much more. Employees punch in their time, day in and day out. This is a great way to keep track or record the hours that they have rendered for the company. Time is very important in a business because it means that task or jobs are being accomplished within the time worked in the office. It is very much essential for managers to have a record of the time worked for each employee because this will be used in creating the payroll that everyone looks for twice a month. Time clock software is a means of recording the time worked and it is very effective because programmers use their skills and expertise in creating these kinds of softwares. Managers will be able to keep a record of the time and attendance of each employee. Managers always use this and that is why if you have your own company, you should set aside money to invest in one rather than resorting in written attendance that may easily be altered by just about anyone. Time machine systems should be used within the workplace because it helps ensure that there are no alterations done when it comes to logging in and out of work. It is easy to simply alter your time with the old method of just signing in a logbook. Having a sure and secured method of keeping a record of time for your employees is essential especially when it comes to adding up their salary before payday. Companies need to make sure that they have a fool proof system to keep track of this record. There are manyIcon time systemsthat are available that will help the company have a safe way for their employees to log in and out of work.